Jumbo size, water blanched peanuts roasted in corn oil and lightly salted or left unsalted upon request. 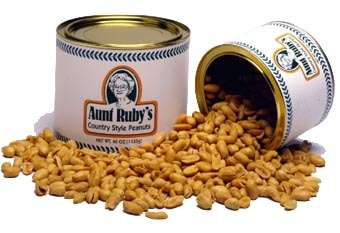 These delicious crunchy cocktail peanuts are packaged in double sealed reusable 1 and 2.5 lb. plastic tubs. Website ©1997 - 2003 Virtual Marketing Systems, Inc.